Congratulations to OPLbery Medal winners! | OPLbery Club: YOU Be the Judge! OPLbery Club: YOU Be the Judge! Congratulations to OPLbery Medal winners! 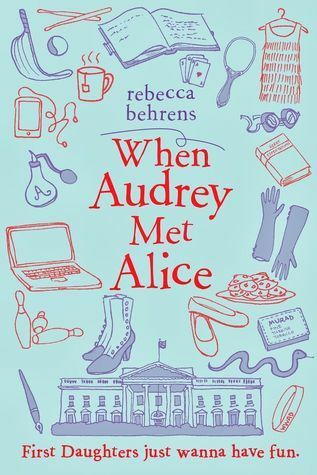 The OPLbery Club voted on Friday, January 16 to give the OPLbery Medal to When Audrey Met Alice, by Rebecca Behrens. 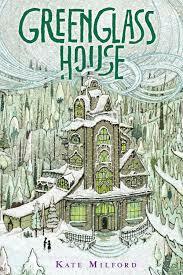 They also awarded an OPLbery Honor to Greenglass House, by Kate Milford. There were a lot of great books published in 2014, and it was hard for the OPLbery Club members to choose which were the most distinguished. Medal winner When Audrey Met Alice was the story of a first daughter and how she deals with living in the White House. When Audrey finds a diary written by Alice Roosevelt (the daughter of President Teddy Roosevelt), she identifies with her and uses her behavior as a model for her own. The club members really enjoyed the mix of modern day and historical fiction. Our club members also enjoyed Greenglass House with its mix of fantasy and real life and the twist at the end of the book. Several rounds of voting took place before the OPLbery Club settled on these winners. Entry filed under: Uncategorized. Tags: greenglass house, kate milford, mock Newbery 2015, mock newbery club, Ossining Public Library, rebecca behrens, when audrey met alice.